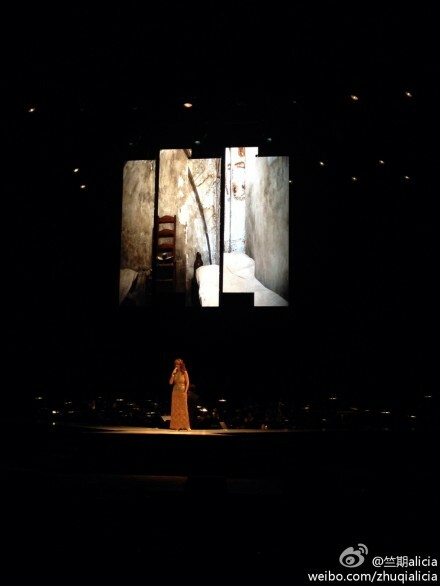 Photo chosen by 'Enda Markey Presents' to use as part of the scenic design for the Asia Pacific tour of the production "Do You Hear The People Sing? ", a concert celebrating the work of Boublil & Schönberg (the creators of Les Misérables, Miss Saigon and others). This image is for the song called 'Au Petit Matin' and it's from Boublil & Schonberg's first musical, "La Révolution Française" (which preceded "Les Misérables") and is sung in the original musical by Marie Antoinette as she was imprisoned at La Conciergerie de Paris. - The first show was in Shanghai Grand Theatre, China, from 27 November to 1 December 2013, starring�Michael Ball,�Lea Salonga,�David Harris,�Amanda Harrison�and�Marie Zamora. �Featuring the Shanghai Opera Orchestra and Choir. - Special performance of "Do You Hear The People Sing?" at the Newport Performing Arts Theater in Manila on 29 & 30 January, headlined by�Lea Salonga,�David Harris�and�Marie Zamora,�in support of the Yolanda Rebuilding Progam. These concerts raised AU$600,000 to�assist with the rebuilding of 200 homes devastated by Typhoon Yolanda through Habitat for Humanity Philippines, through 'Habitat for Humanity Philippines'. - 29 March 2014 the show is in the TICC (Taipei International Convention Center), Taipei, Taiwan,�starring�Michael Ball,�David Harris,�Amanda Harrison,�Ana Marina�and�Jennifer Paz. Several other dates around Asia, Australia and New Zealand are currently in development. La Conciergerie is a former royal palace and prison in Paris, France, located on the west of the Ile de la Cite (literally island of the city), near the Cathedral of Notre-Dame. It is part of the larger complex known as the Palais de Justice, which is still used for judicial purposes. Hundreds of prisoners during the French Revolution were taken from La Conciergerie to be executed on the guillotine at a number of locations around Paris. The Conciergerie prison, also known as the "antechamber to the guillotine", became the central penitentiary of a network of prisons throughout Paris, and was the final stop of over 2,700 people who were summarily executed by guillotine. The dank dungeons were a stark contrast to the beautiful architecture of the palace above. The quality of life of the prisoners was based mainly on their personal wealth, and the whims of the jailers who watched over them. The revolutionary period continued the prison's tradition of interning prisoners based on wealth, where the wealthier prisoners could rent a bed for 27 livres 12 sous for the first month, then down to 22 livres 10 sous for the subsequent months. Even when the price was lowered to 15 livres, the commanders of the prison made a fortune: as the Terror escalated, a prisoner could pay for a bed and be executed a few days later, opening the bed for a new inmate who would pay in turn. 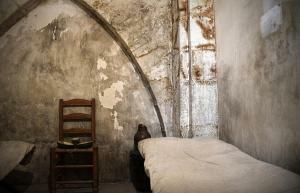 One memoirist called the Conciergerie "the most lucrative furnished lodgings in Paris". Only celebrity prisoners got cells to themselves. Most of the pistole inmates were stuffed into a single room which abutted a local hospital, making disease an inevitability. The cramped cells were infested with rats, and the stench of urine permeated every room. The photograph 'Self portrait in Madrid with a Leica M3' by RicardMN Photography is included in the book 'LEICA MYSELF', 2013 99 Pages Verlag GmbH, Hamburg, Germany. 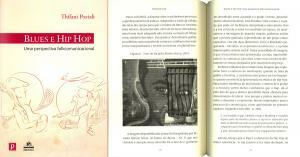 ISBN: 978-3-942518-36-9. 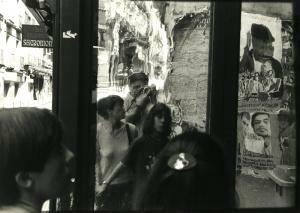 See the picture 'Self portrait in Madrid with a Leica M3' in Fine Art America. Selbstportr�ts � sie sind ein eigenartiges Ph�nomen in der Fotografie. Die Verewigung des Ichs mit der Kamera in der Hand. Ob alt, ob jung, ob gro� oder klein, reich oder arm � vor dem Spiegel sind alle gleich. Eigentlich. Nur manche sind gleicher � gemeint sind Besitzer einer Leica. Welches Modell spielt keine Rolle. Seit diese Marke vor nunmehr 100 Jahren die Fotografie revolutionierte, ist das Portr�t mit einer Leica in der Hand kultige Nabelschau, die die eingeschworene Community verbindet. Dieses Buch huldigt dem Personenkult mit �ber 250 Selbstportr�ts aus aller Welt. Skurril, verrucht, selbstverliebt, verr�ckt, ikonographisch, aber immer leidenschaftlich. Leica Myself � die Verewigung des Leica-Egos. The book offers a comparative study between the Blues and Hip Hop, featuring the musical forms and specific manifestations of the group, each carried out in accordance with the possibilities offered by social time in which they were developed. See the picture 'Bronx Graffiti-2' in Fine Art America. "A imagem disponibilizada acima foi fotografada por Ricardo Mu�oz Nieva, no bairro do Bronx - NY. O que nos chamou a aten�ao nesse desenho foi a fato de o grafiteiro ter desenhado entre a parede e a grade. O rostro, provavelmente afrodescendente, est� dividido entre o muro e a grade que pode ser facilmente interpretada como prisao. Nao � � toa o fato de o autor ter escolhido tal espa�o. Se analisarmos a mensagem de maneira simples, podemos avaliar que a pessoa grafitada, representante de um grupo �tnico espec�fico, vive em duas dimensoes: entre a liberdade conquistada - referido-se ao per�odo escravocrata - e a prisao imposta pelo sistema social. Outra curiosidades da imagem, � que a boca inteira est� aprisionada, ou seja, impossibilitada de se comunicar. Questoes como essas envolvem diretamente os temas abordados pelo movimento Hip Hop."